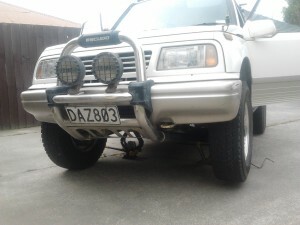 Changes and modifications to a Suzuki Vitara/Tracker/Sidekick/Escudo. Ever wonder what a Tracker could do versus a Nissan Patrol? I came across this today morning and simply had to share it. The Nissan driver probably got a little unlucky – the diff lockers not engaged or probably something along those lines. You will notice the the Patrol is also lifted a little. 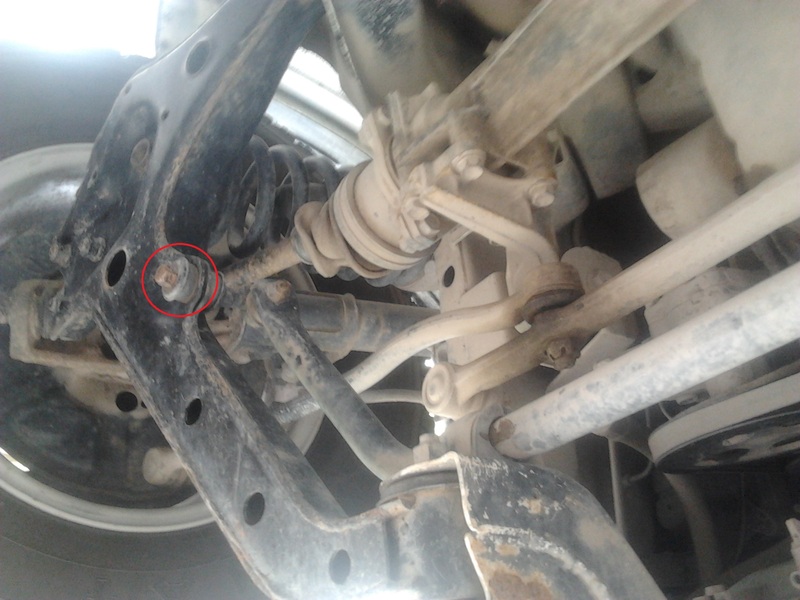 Going along with the recommendations of the expert, I have been recommended to remove the sway bar/stabiliser arm on my Suzuki Escudo/Geo Tracker/Sidekick. 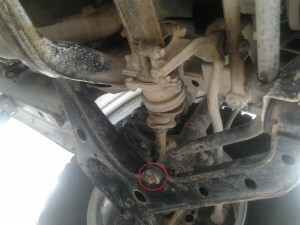 The reasoning behind this it to give your Escudo more articulation offroad. 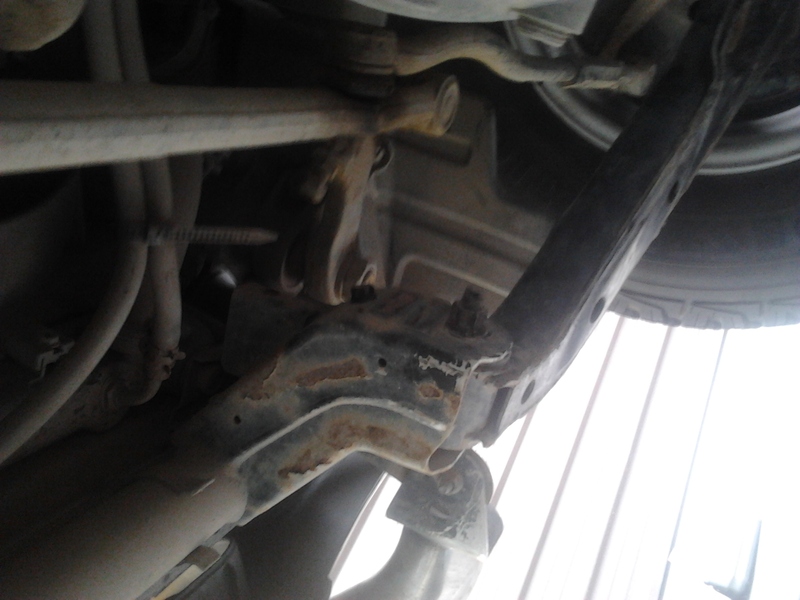 I am currently running the v6/4 door model springs front and rear which are a bit stiffer than the standard 3 door. May I say the combo matches perfectly! The suspension used to ride pretty hard on and offroad, the the 4 door springs complement the sway bar removal perfectly which now makes for a softer ride. This is a fairly straight forward process – simple – 6 bolts simple! Jack her up! 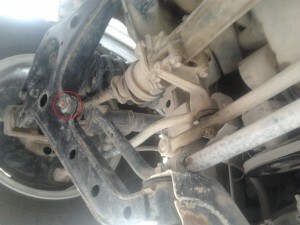 Dont forget the axle stands! 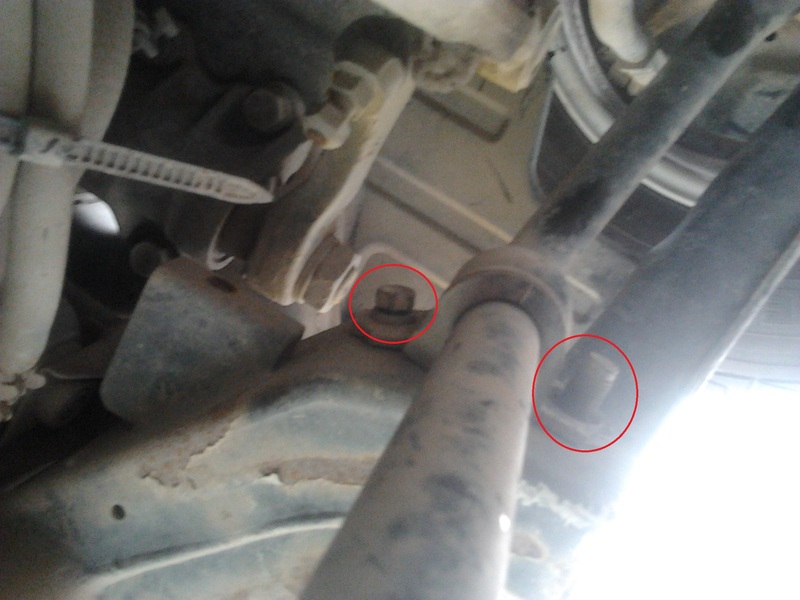 Undo the two bolts – holding the sway bar up – no 14 metric. So far I have only had the chance to run one quick test which has been brilliant. You now have grip that you didnt otherwise have. This was taken off the road around Waimakariri in Christchurch! Off the road – Following the Christchurch Earthquake, the Escudo got full of sand and silt. No water available to wash it called for some offroading at the closest river.